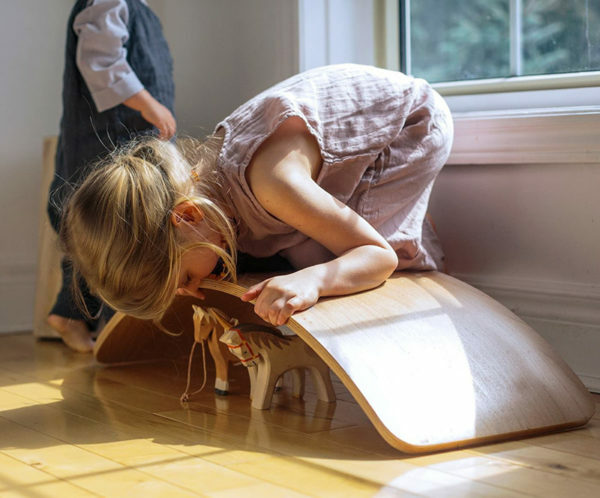 Rock it, balance it, tip it or spin it – imagination is the limit for kids playing with the Kinderfeets Kinderboard! It’s toys like this awesome Kinderboard that really spur on little imaginations. 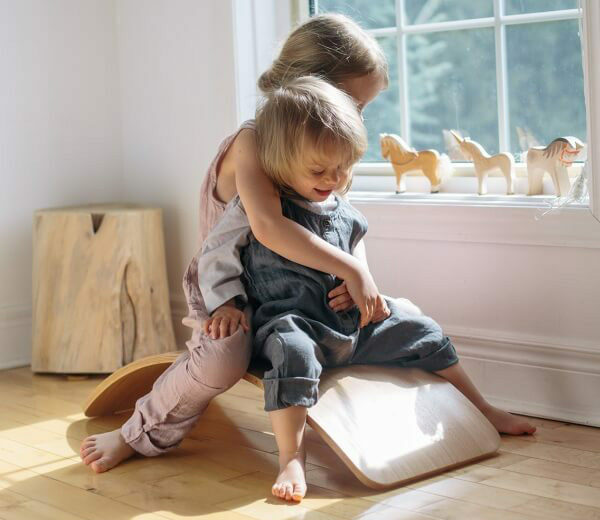 Designed with open ended play in mind, children will no doubt find endless uses for the Kinderboard, from a step stool to cubby hole for toys – and all things in between. Made from sturdy Birch wood, the Kinderboard can hold a staggering 90kg of weight – adults can also get in on the fun! Available in white or natural, the Kinderfeets Kinderboard can be ordered at Lime Tree Kids, priced $174.95.